Climate is the biggest and most important factor in construction; it’s what determines the materials used, the time frame for construction and the durability and longevity of the constructed building. Seasonal temperature changes are different in every state, and within states, they can differ, depending on whether they are near the seaside or up in the mountains. That’s why it’s imperative to understand your location, and how the seasonal temperature changes will affect the materials you use in construction, as well as how long they will last after the building is complete. Essentially, climate change is the biggest factor in determining cost and expenditure. The fall and winter seasons are a classic period for dangerous construction sites, where the ground is slippery and wet. The cold weather means that workers need to dress up warmly, with extra padding, this leads to less mobility and more accidents. Electricity and water tend to find more chances to mingle, which is why construction sites in winter are death traps when not managed properly. Metals used in construction such as iron and steel are susceptible to rust. Wood, even when cured is still open to moisture. Paint and glue are prime targets for moisture. Glue and other materials used in the interior design of a building are especially susceptible. After these materials are applied to various surfaces, including carpeting over concrete, will accumulate mold in a moist environment. It is important to choose the correct adhesives that meet humid climates. Brick used in construction is one of the first building materials that is immediately affected by moisture during the construction phase, and this traps moisture in the inner walls that can be released at a later date. Thunderstorms and heavy rains cause much more damage to a construction site than expected. 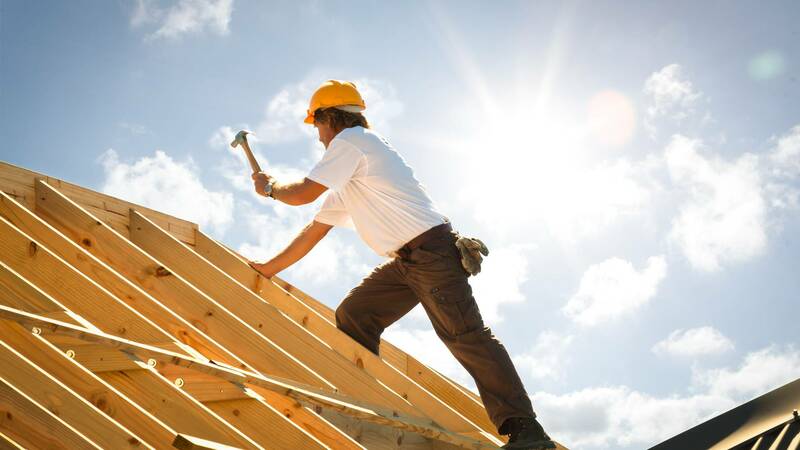 In most cases, and especially when there are high winds, materials used in construction can be destroyed or damaged. Hail easily breaks glass and can dent sheet metal. Concrete and cement will form ice particles, and this drastically reduces their stability and strength. Materials contract in extreme cold, so applying paint and glue to surfaces on these days will lead to cracking and wrinkling when the materials expand. The cold and wet seasons bring a plethora of issues that cover every aspect of construction. Preparing equipment with different oils that withstand the extreme cold as well as protect them from rust and corrosion. Concrete and cement require special attention, and paints also form ice particles and will take longer to cure. However, building in cold climates is not new to humankind, and cold countries have successfully overcome all issues using special adapted materials, additives and application processes that are suitable for extreme cold and wet conditions. You might associate climate temperature changes to winter, and that would be right, however, take note that summer has its issues as well. Spring might be warmer than winter, but the issues of moisture and rain continue. In fact, moisture is an even bigger issue in spring, when the weather is both warmer and still wet. Once the rains have stopped, and again, dependent on where you live, heat can be as big an issue as rain. Heat changes the expansion dimensions of materials, some are more affected than others, and this leads to misaligned joins during construction, usually with interiors. Heat also causes workers to be less careful, wearing less protective clothing and creating drowsiness due to heat fatigue. The direct effect of heat on materials is most apparent in concrete. The American Concrete Institute states that preparing concrete on hot days without factoring in additional water requirements will lead to weaker applications. Bricks are also adversely affected in heat and can become brittle. Paint, when applied during heat might lead to crinkles and cracks, as well as discolor in intense heat. Building in extreme heat has its own set of issues, but there are many countries that live in the constant extreme heat, dry as well as humid conditions. They have overcome the problems by developing methods and tools that suit the climate as well as using specific materials and applying them to meet the local demands. While different countries use different materials and methods that match their climates, the growing trend in climate change has affected everyone. Where extreme winters and summers are being felt all over the world, and where extreme temperature changes occur even mid-season. The ability to adapt and change is the current main challenge for the construction industry. It is more than just developing new materials that can withstand extreme shifts in temperature in short periods of time; it is also creating materials that will maintain their core strength and elasticity while being applied to different surfaces. Metal, glass, and concrete can be changed slightly to meet specific locational demands, wood, hot melt adhesives, and paints are a different matter. They are more prone and susceptible to climate changes and adverse conditions. They need to adhere to different surfaces and withstand various conditions while maintaining their structural integrity. This requirement is aggravated when exposed to climate temperature changes and choosing the correct construction materials is just as important as preparing them on site and applying them correctly. Seasonal temperature changes affect the construction industry from five points, the equipment, the personnel, the materials, the planning, and the application. Each branch of construction is affected by environmental conditions, and this all starts at the planning stage. Smart planning will take into consideration every issue and plan the site according to expectations. A great planning team will integrate risk factors from expected changes in climate and temperature conditions. Materials that are chosen will take into account their properties in withstanding such changes over time. Equipment and personnel will need to be constantly managed to maintain a healthy and safe working environment. Materials and their application remain after the construction process is finished. This is why the choice of materials and how they are applied is key to a successful build. Make sure you use the right materials for your location, do not rely on what was, climates have changed radically in the last three decades, make sure you use only the most recent and adapted materials suitable for your area of the country. Casey Heigl is a packaging industry insider. As the Marketing Manager for Gluegun.com, she has extensive knowledge of hot melt applications, vendors, and industry trends. Casey enjoys sharing her unique perspective with her blog writing. When she isn’t researching and writing articles she is spending time with her family and crafting with professional glue guns!